Bonnie McDaniel had spent the last four years raising her brothers and sister after a tragic accident killed her parents. But now, four years later, she was out of money, and short on ideas. She had to form a plan. The only thing she could come up with was to find a husband who would help her. She'd never done anything so bold in her life. Rachel Landers fell in love with the beautiful letters that she thought Hershel Newton wrote. So she left Philadelphia and went to Colorado to marry him. Only Hershel didn't write the letters. Had she married the wrong man? Emily Carrington was running away from her controlling Uncle and overbearing fiancé. 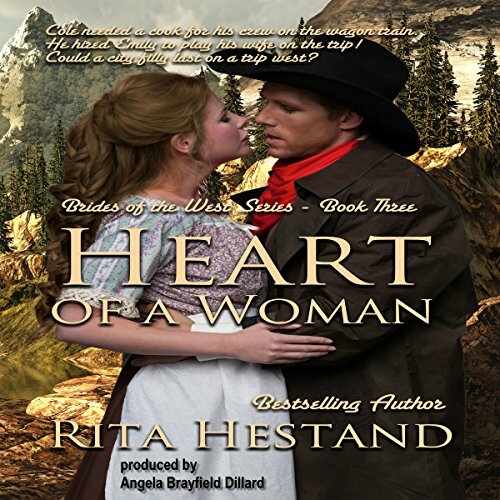 When she met Cole Morgan, he told her he didn't allow unmarried women on his wagon train west. However, since he needed a cook for his men, he decided he could marry her and she'd do the cooking. Could a city gal hold up to the rigorous journey west? Callie Evans was hanging around the wrong people, she was going to get into trouble if she kept it up. Gil Sutton had liked Callie all her life, but she had such a stubborn streak. Somehow he had to protect her from herself. And considering Joe Boggs was now after her for the bank money, that was going to be a full time job.